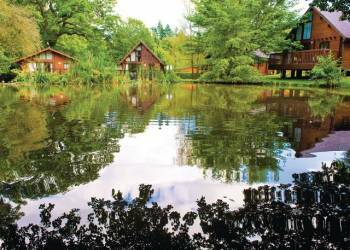 We have details of 1 holiday parks with caravans, lodges or cabins for you to choose. Forest of Dean, Gloucestershire is a great location for your next holiday. Many parks allow bookings for weekends, long weekends and mid week breaks as well as one or two week self catering holidays. Search for your next holiday in Forest of Dean. We have 1 holiday parks in Forest of Dean. To book your next self catering holiday at a Forest of Dean park just use the 'View Accommodation' button on each of the park details below. If no link is available then the Park Information page will show more information about your selected Forest of Dean holiday park. The details page for each park will show all the information we have, a map of the area as well as up to eleven pictures of the park. You are currently viewing 1 to 1 Forest of Dean holiday parks. There are a total of 1 holiday parks featured on this site in Forest of Dean. If none of these meet your needs try widening your search to towns close to Forest of Dean in Gloucestershire. You can view all the parks in Gloucestershire here. Peacefully tucked away amongst the rolling hills and majestic woodland of the beautiful Forest of Dean, Whitemead Forest Park complements its magical setting with a truly spectacular array of facilities. The perfect escape for couples, groups and families alike.Whatever you're looking for, you'll find it here! From the thrills of high-energy sports such as wall-climbing and abseiling for the adventurous, to the host of super-indulgent, relaxing beauty treatments available in the fantastic pool and spa complex, Whitemead boasts something to suit all ages and tastes.Further afield, the Forest plays host to a charming cocktail of laid-back woodland walks and challenging outdoor pursuits, while boutique shops, cafes and restaurants abound in the wealth of sleepy villages and cosy market towns of the surrounding area.